More New Tunes on tonight’s Mars Attacks! Just like the title suggests, and similar to last week’s episode, tonight’s Mars Attacks consist of nothing but new songs. Some maybe a few months old, but they’re for the most part new to me! 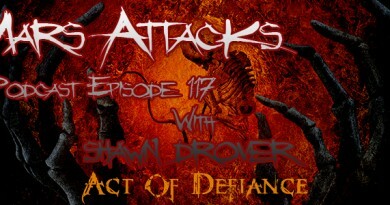 This episode will be somewhat heavier than the last, and will include bands like The Chariot, IWABO, Soulfly, Sick Of It All, Fear Factory, etc.